Real Estate Closings: We handle all aspects of commercial and residential real estate closings. 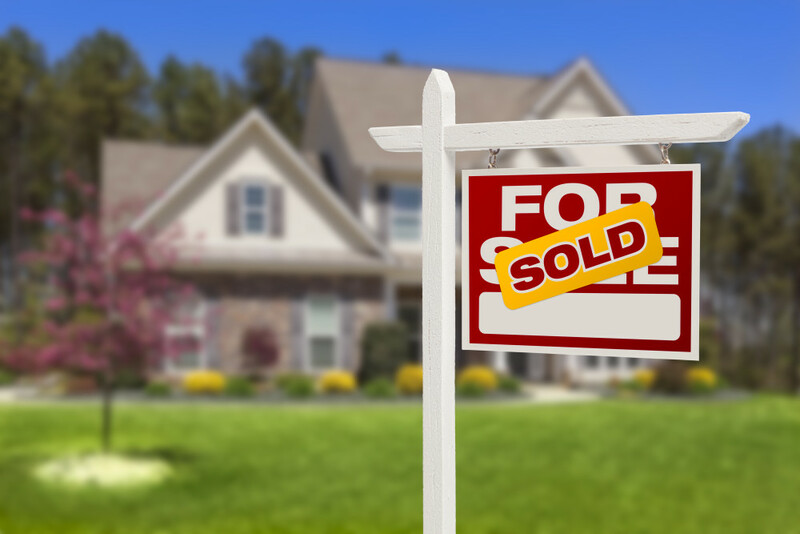 Our experienced and attentive staff handles the processing aspects of real estate closings, but an attorney is always personally accessible to clients, real estate agents, lenders and others who are involved in the transaction. You can be assured that your transaction will receive personal attention. We handle all aspects of commercial and residential real estate closings. Our experienced and attentive staff handles the processing aspects of real estate closings, but an attorney is always personally accessible to clients, real estate agents, lenders and others who are involved in the transaction. You can be assured that your transaction will receive personal attention. The process of buying or selling real estate starts with a contract. Most residential transactions involve real estate agents, in which case a form contract may be used. It is advisable to have the contract reviewed by an experienced real estate lawyer because terms and conditions can vary, particularly terms involving home inspections and financing contingencies. We provide contract review on a timely basis. If you are buying or selling real estate without using a real estate agent, we can prepare the purchase/sale agreement and related documents based on the price and other terms that have been negotiated between the parties. Commercial real estate transactions demand the involvement of an attorney at an early stage. Often these transactions start with a letter of intent, which evolves into a formal contract. A letter of intent is not binding, but it does set the parameters of the deal and expectations of the parties. Some commercial real estate agents provide form contracts, but the complexity of most commercial transactions calls for an attorney to draft a detailed contract tailored to the specific property and particular circumstances of the deal. Commercial properties, including vacant land, often involve unique title, environment, zoning, inspection, appraisal and other issues that need to be carefully considered. Commercial transactions may also involve existing leases that need to be reviewed and assigned at closing. All residential real estate closings in Virginia must be conducted by a licensed, insured and bonded settlement agent. We have all registrations, licensure, and insurance. T. Andrew Lingle has been handling residential and commercial real estate closing for more than 20 years. We work with all types of financing for residential closings, from conventional to FHA and VA loans. We also work with all types of financing for commercial closings, from conventional to seller financing to SBA-guaranteed loans. After we are engaged to handle your closing we will assist you with the finalization of the contract and then order a title search, title insurance and survey (if requested), contact your insurance agent, and work with your lender to satisfy all of their requirements for closing. If the property inspection or title search reveals any problems with the property we will work with you, the seller and the real estate agents to resolve those problems. For commercial transactions, in addition to the aforementioned tasks, we also assist with all aspects of due diligence, review any existing leases and draft assignment documents. To get started you may download a Residential Closing Information Form or Commercial Closing Information Form and return it to by e-mail or fax along with a copy of the signed purchase/sale agreement. We will contact you upon receipt of the form. In order to sell real estate in Virginia, you must have a deed prepared by an attorney. The deed and several other necessary documents are usually prepared as soon as the title report is provided by the buyer’s attorney or settlement agent. If any title defects are discovered, we will address them promptly to ensure that closing occurs on time. At the time of settlement, we will review the Closing Disclosure or HUD-1 form and go over it with you to ensure compliance with the contract. If you would like us to handle your sale, simply fill out a Seller Closing Information Form and return it by e-mail or fax along with a copy of the signed purchase/sale agreement. We will contact you upon receipt of the form. We handle all types of commercial and residential refinances, including residential VA and FHA, and commercial SBA-guaranteed loans. In order to start the process, please complete a Refinance Closing Information Form and return it by e-mail or fax along with a copy of your existing owner’s policy of title insurance (which will usually save you a significant amount of money on title insurance). Also, please provide my name and contact information to your mortgage loan officer. We will contact you upon receipt of the form. “Title” is legal evidence of ownership and possession or property. Title insurance provides protection from financial loss due to hidden title defects or human error. Mortgage lenders require a loan policy of title insurance to ensure that they have a valid lien against your property. The premium is based on the mortgage amount. Owner’s title insurance protects you, the buyer, up to the value paid for the property. The premium is based on the purchase price. You pay a one-time premium at closing for both forms of coverage. You are not required to purchase owner’s title insurance but I highly recommend it. If available, the Homeowner’s Policy of title insurance will be ordered for residential closings, unless you opt out. Attached is a comparison between Standard ALTA title insurance and the Homeowner’s Policy of title insurance. Please note that the Homeowner’s Policy is not available for commercial or investment property, vacant land, and most new construction closings. You may qualify for a discount rate on title insurance if you provide a copy of the seller’s existing owner’s title insurance policy that is less than 10 years old. Please contact the seller or your real estate agent to obtain that information. If we do not receive it at the time the information form is returned, we will not be able to apply for the discount. We can arrange for title insurance for any residential or commercial transaction through River City Title, LLC or other providers. T. Andrew Lingle is a 25% member of River City Title, LLC, which is the title insurance agent that provides title insurance or other services for most real estate closings handled by this office. There is no requirement that you use River City Title. However, the advantage to using River City Title is that your transaction will receive priority and personal attention.